I have something different to share this week–a Throwback Thursday. Not an image, but words. In 2011, I wrote a short piece of fiction (flash fiction) for StoryADay. It won honorable mention in a contest they held that year. I always intended to return to this story, to breathe more life into the world and characters. It’s an odd feeling reading something I wrote five years ago. I have to stop myself from editing the little eyesores. So many things scream at me when I read this piece. Maybe it will be incentive to dive back into the words. She wouldn’t break eye contact. A film of anxiety glistened across her forehead. In her hands she turned over a small trinket, again and again—a good luck charm. She’d need it. The baggy hand-me-downs didn’t hide the frail condition of her body, nor her spirit. I glanced at the paperwork in my hands. Eight years old is too young to be a trainee, too young to be sitting the across the table from me tonight. I’m the evaluator. I’m the one who gets to choose who will stand watch in the night. It’s the job no one wants. Each evaluation begins with a simple statement: This is not a test. But the young are eager to please. When I was a child pleasing our elders involved passing Math, or cleaning our rooms without being asked. Now, childhood ends when you can aim and shoot a target at fifty feet. This ghost of a girl wasn’t ready. I made motions to cross her name off the list, when her small voice broke the silence. Chocolate. I tried to hide my amusement. When was the last time I’d had chocolate? Eager and intelligent, she could be a malnourished version of me ten years ago. I’d been twelve and eager too. I’d sat with a group of ten other children, in the rain, shivering, waiting to be called inside. The room had been dark, like this one, but instead of a single candle there’d been a single dim light bulb. Damn. I miss those generators. Her fingers squeezed the life out of the trinket in her hand. 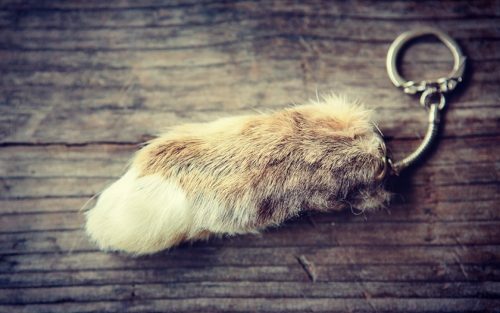 I’d had one of those too, a lucky rabbit’s foot. The silly souvenir was a gift from my father. I pretended to make a few notes. There was no right or wrong answer, only reactions to measure. Tomorrow could be the day. A raid now would obliterate this settlement. I wish my brother were here. Were we fighting the inevitable? I tore my thoughts away from what I’d lost and focused on her fear filled eyes. Her need to prove herself had hidden the truth. But now I saw the jagged nails and torn cuticles. Who had she lost? “What?” Then I heard them. The bells were ringing. Shouts and screams began to pierce the darkness. Stay calm. “Of course, we are,” I said and forced a smile. I pulled a tattered white rabbit’s foot from under my collar and placed it around her neck. We all dealt with the stress in our own way. Some survived. Some became shells of their former selves. Some heard the call of the blood. Gate 128, a mysterious place, promising salvation from the extinction of the female species, draws two struggling survivors (Rose and Camilo) in a post-apocalyptic world. The last known female on earth, and her protector must finish their dangerous journey past the world outside of Gate 128. Gate 128 (PG-13) is a little weak in spots but I like the premise–post-apocalypse with a touch of Children of Men. It’s a diamond in the rough. Let me know in the comments what you think! There are a plethora of amazing short films these days. I thought I’d share one of my favorites, one I wrote about a few years back on a now defunct blog. Feast your eyes on Ruin.